Galway-Mayo IT says letting students continue their course was an “appropriate response”. A THIRD-LEVEL COLLEGE has said that allowing three students who admitted plagiarism in an exam to continue their course was a “proportionate response”. 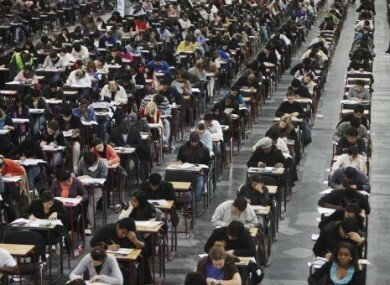 The students, from Galway-Mayo Institute of Technology, were not asked to repeat the course of exam after their admissions, according to a report in The Irish Times. GMIT has been under fire recently on a number of other academic-related issues. The college had to release a denial that academics had boycotted a graduation ceremony for newly-qualified engineers. The Galway City Tribune reported that several members of staff “chose to stay away” from the graduation ceremonies last week because they “were not happy with the decisions of appeals board”. The Times said that the controversy emerged from an email that had been circulated to reporters saying that there were inter-county footballers at the institute who had been given preferential treatment. It was confirmed by former Mayo football manager John O’Mahoney that there were no GMIT students on the 2010 senior All-Ireland championship panel. On the plagiarism claims, The Tribune claims that “at least four students” had admitted to an internal college disciplinary committee that they had plagiarised a section of their final year assignments but “were still cleared to graduate with pass or honours degrees”. GMIT had told The Tribune that “the allegations are incorrect and without foundation”. Email “College denies letting plagiarism students off the hook”. Feedback on “College denies letting plagiarism students off the hook”.